Do you need someone to break your glass? The other day my daughter and I were discussing the challenges and rewards of working at a large corporation. As someone who is relatively early in her career, she is learning how to navigate the political landscape within her company and how to deal with the wide variety of personalities and characters she comes across in the workplace. Her dad and I often share our “war stories” of the horrible bosses and annoying co-workers we had. It’s easy to look back and laugh now, but there certainly were times in my career when a difficult boss or colleague made life miserable at work. Those were the times when the alarm clock went off in the morning and I hit the snooze button, sometimes over and over, dreading another workday. Of course, there were also wonderful colleagues who grew to be friends and bosses who were amazing mentors, guiding and championing me to success. What made the difference? Why are some people terrific and likable colleagues and others are so hard to get along with, leaving anger, frustration and hurt feelings in their wake? After coaching and consulting in many workplaces and observing countless work relationships, I now know that one of the necessary elements to successful relationships is self-awareness – knowing your preferences, style, behaviors, and how they impact others. 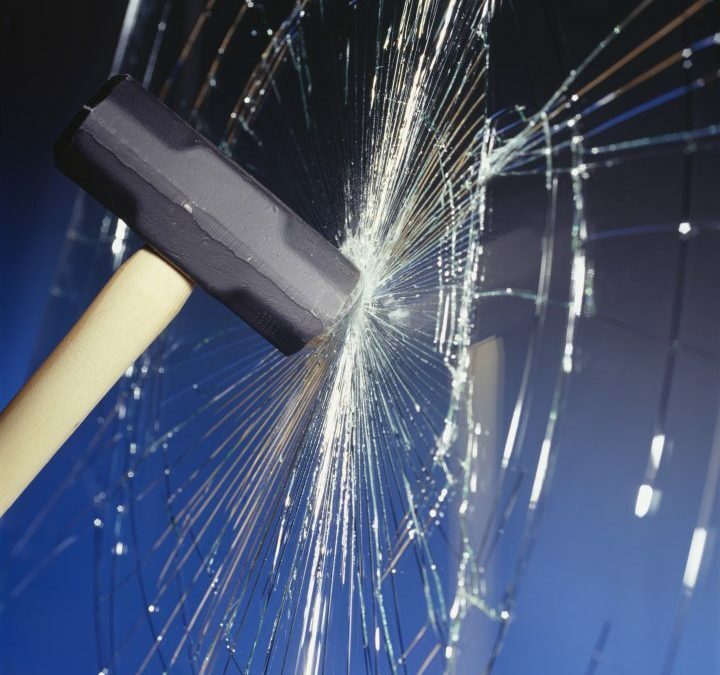 My daughter shared a phrase they use at her workplace – “breaking the glass.” Like breaking the glass to pull the alarm in an emergency, “breaking the glass” refers to a moment when someone reveals an important aspect of your behavior to which you were completely oblivious until then. My husband broke the glass for me the other day when he pointed out that I focus on the worst-case scenario way too often. I didn’t realize that I had become such a worry wart lately and that I was voicing that doom and gloom to the people around me. Yuck! But without that honest feedback from him, I may not have figured out that I was negatively impacting the people I care about most. Take individualized assessments such as the Myers Briggs Type Indicator®, DiSC®, Personal Listening Profile®, etc. These self assessments are great tools for learning more about yourself. Chatsworth Consulting Group offers these assessments and many more. You can get more information by viewing Our Assessment Toolkit page. Conduct a 360-degree (or multi-rater) feedback survey. If you are fortunate enough to work in an organization that uses 360-degree feedback, look into how you can participate in the process. If not, consider working with an executive coach who can gather that feedback anonymously on your behalf. Ask for feedback. Look for opportunities to ask your boss and your colleagues for feedback. If you are giving a presentation, ask a few trusted co-workers to observe the presentation and provide you with their candid feedback on how you did. If you want to get better at providing recognition to others, then ask colleagues to give you feedback on how well you are doing in making progress on your goal. Be more open to feedback. While not every bit of feedback will ring true for you or make sense to you, it is a window into how someone else perceives you – and that is important to know. If someone “breaks your glass,” listen and do your best to look for what’s true instead of ignoring them or becoming defensive. Pay attention to your interactions. Often the act of being more attuned to your behaviors and how you interact with others brings about increased self-awareness. You notice more and reflect more often on how you handled situations. Tell us your “breaking the glass” story. Who revealed an important piece of self-awareness for you? What did you learn? If you want help increasing your self-awareness, contact Robyn at rmcleod@chatsworthconsulting.com.